Great turnout at Electronics 101 class! 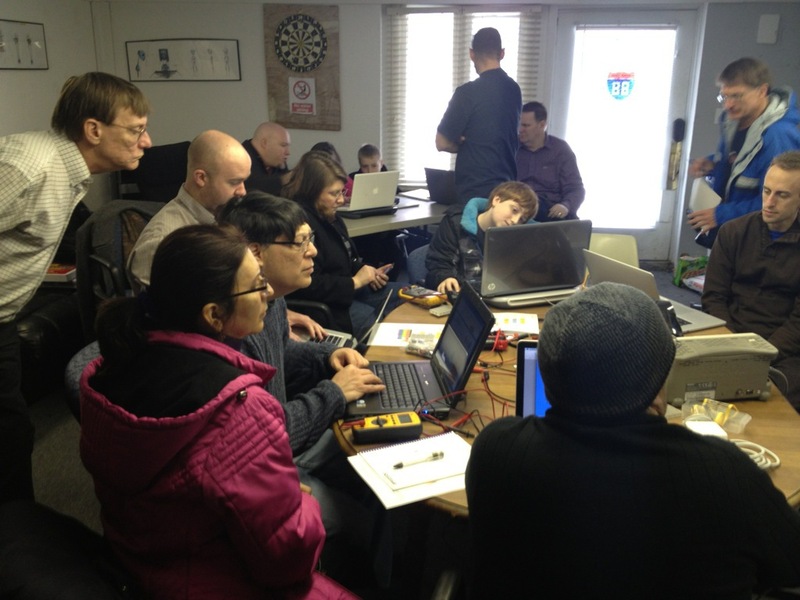 We had a great turnout for the electronics 101 class! It was so great to see everyone who came out to learn a bit about the fundamentals of electronics today. Big thanks to Eric, Paul and Bill who all helped out today with the class. Remember to sign up for the Electronics 102 class next week!